The Usaia Koroilagilagi-coached Jack’s Nadi side will not leave any stones unturned as they face the mighty BLK Nadroga in the first HFC Bank Farebrother Challenge on Saturday. Nadroga remains favourites after thrashing Namosi 59-24 in the Skipper Cup final last weekend to retain their title. Nadi Rugby Union chairman Sekove Tuilakeba said they would be working to create an upset against the traditional holders. “As the new chairman, we are heading to a new direction and according to our prediction anything is possible,” he said. The Jetsetters will need more than a miracle after they were beaten 18-13 by BLK Namosi in the Skipper Cup semifinal two weeks ago. “We could have won the semifinal. That was a tough match. We gave our best shot, but did not work out,” he said. 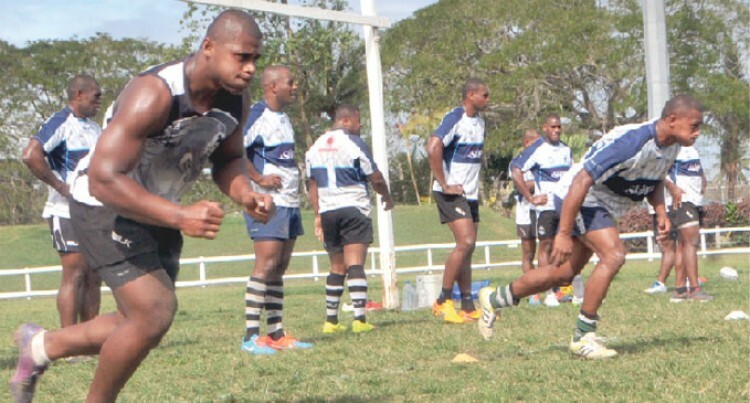 Tuilakeba said the team of the vanua of Nadi had been working on their mistakes. He said poor communication resulted in their Skipper Cup semifinal loss,” he said. He said Nadi would be banking on forwards likes of Robert Delai, Aseri Buli, Joape Masitabua, Timoci Temo, Apenisa Naisorovakatini, Ameniasi Nava, Meli Rokoua, and number eight Jiuta Takubu. The backline is stocked with experienced Jock Liuta, Aseri Vatunitu, Cyril Reece, Vilive Aria, Iliesa Bari, Orisi Erenavula, and the flamboyant Setareki Tuicuvu at full back can bring the winning combination. Nadi takes on Nadroga at Lawaqa Park at 3pm. The match will kick-off at Lawaqa Park at 3pm.